Get the latest 2nd Gen Intel Core i3 Mobile Processors for fast computing experience. Whether you are a gamer, a developer, a designer or anyone else, the 2nd generation Intel Core i3 Mobile processor provides you with the speed that you need to enhance not only your computing but your productivity as well. With 3MB Smart Cache, 5GT/s bus speed and 4-threads, the second generation Intel Core i3 Mobile Processor is almost 50% faster than its predecessor (2.5GT/s bus speed). 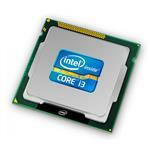 Why Buy Intel Core i3 2nd Gen Mobile Processor? Tech experts observe a notable difference in speed between the first and second generation processors. A major emphasis is placed on the bus speed and graphics processor, which is around 1GHz at extreme graphics play. Apart from this, the price difference between the two generations is insignificant, so much so that it is recorded at $10. So, at the cost of merely $10, you get to witness fast processing speed, better bus transfer rate and higher Graphics speed, allowing you to play HD games with ease. How to buy Intel Core i3 2nd Gen Mobile Processor? 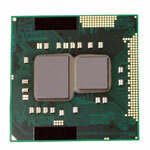 The second generation Intel Mobile Processors are available at amazing prices, only at Memory4Less.com. We are one of the most reliable computer parts sellers in the online world. 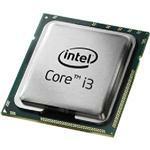 We have Intel Core i3 2120m, 2350m, 2370m, 2330m, 2770m and many more 2nd Gen processors available. Start browsing through our collection right away!